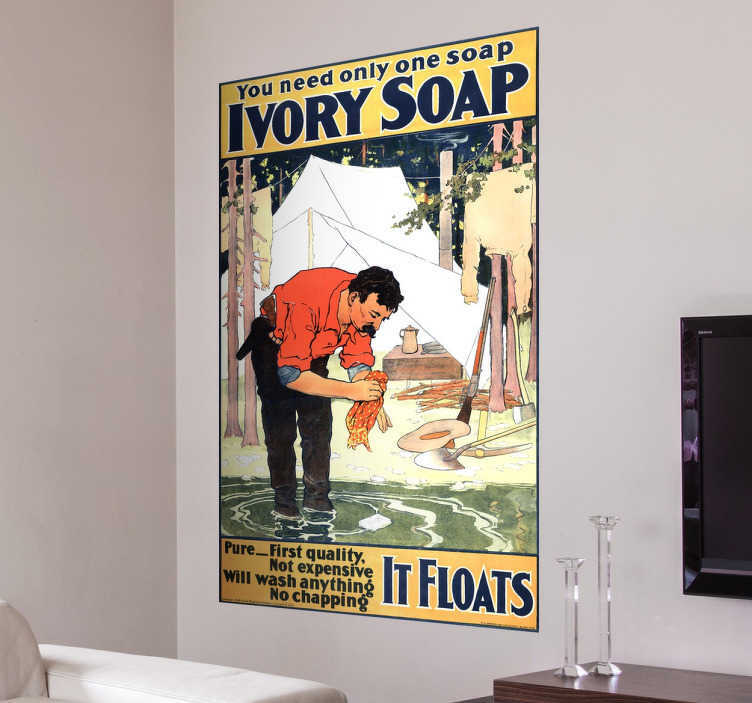 This decorative wall sticker in the design of a vintage "Ivory soap" poster is the perfect retro way to decorate any room in your home! If you love all things retro and vintage, this high-quality anti-bubble vinyl is perfect for you! As easy to apply as it is to remove, this sticker leaves absolutely no residue upon removal and is available in a wide variety of different sizes!